I was in my back yard, and this little guy came up to my feeder. 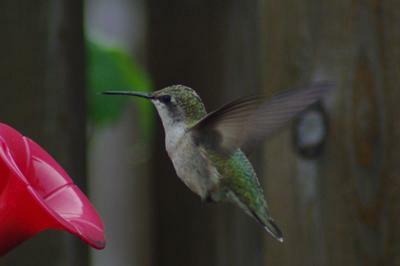 Thanks for the pictures, Wade, this is a great shot of a little Hummingbird! This is a great picture of a hummingbird - you can see its wings so clearly - fab picture.